With smart plug, you can create routines to turn on and off compatible devices that have a mechanical on/off switch such as lamp, fan, coffee maker, humidifier, Christmas tree lights, electric kettle, wax burner, electric fireplace……Enjoy your smart life! Amazon Alexa, Google Assistant and IFFTI compatibility means control your home is as simple as saying “Alexa, turn on the tv.” or “Ok Google, turn on the tv.”. Aoycocr smart plug is the “smart switch” activated by your voice. Whether you’re at home or away, control plug from your smart-phone or tablet with the Smart Life app (Android 4.4 and above or iOS 8.0 and above devices required. 2.4GHz Wi-Fi network support only). You can also schedule your WIFI plug to turn ON / OFF at preset timer. 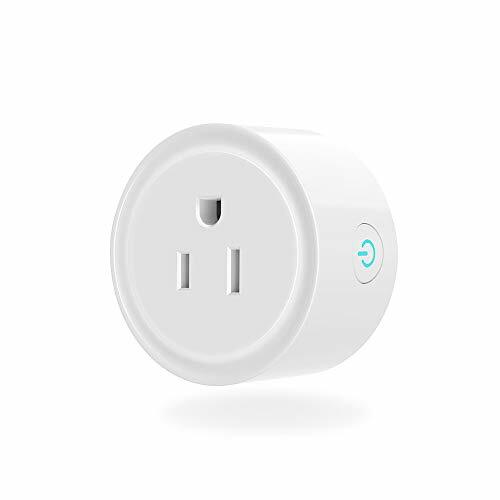 With convenient timer function on your smart phone, the smart plug reduces energy use, eliminates wasteful standby power, prevents overcharging and overheating and saves on your electric bills. You can gather different plugs to a group. Also, you can share with your family and control the bulb with multiple devices. 3.Make sure you named every bulb if you want to control them separately. Wi-Fi: * ONLY supports 2.4 Ghz WIFI. 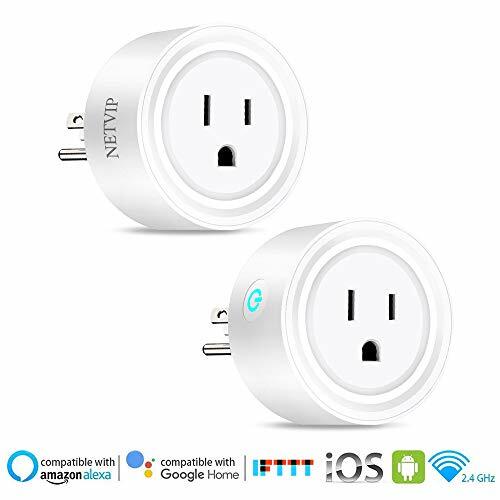 Control from anywhere: Pair to your smart plug with Wi-Fi to control your device from your phone or tablet. Turn off all your electronics with the touch of a button on while you’re in your house or at a coffee shop. Voice control: The Smart Plug connects with Amazon Alexa and Google Home Assistant. Use voice commands to power your devices without lifting a finger. 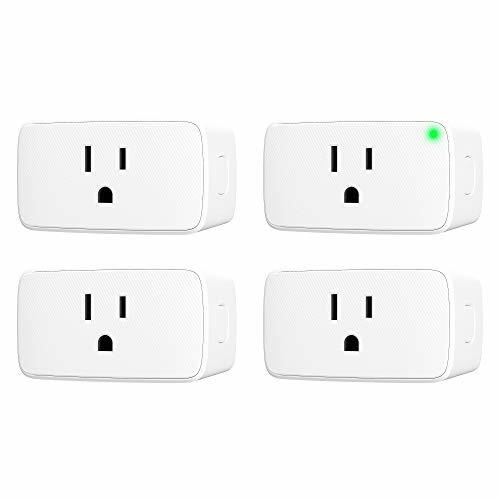 Schedule your time: you can set timers or countdowns for one or a group of outlets, share them with your family members, Enjoy peace of mind by checking on your devices remotely and always coming home to a well-lit house and the hot water prepared for you. 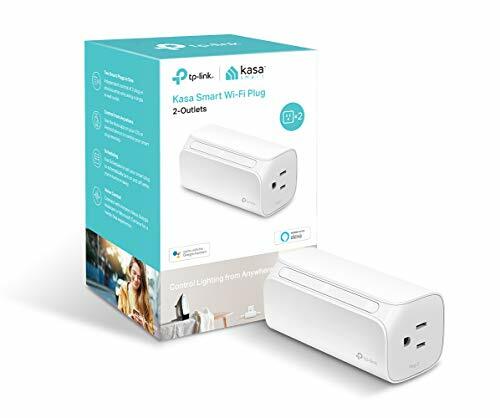 Plug and Play: Simply plug a device into the Smart Plug and connect to your Wi-Fi network, download the free “Smart Life”App and set up your appliances. Remote one-press control, very easy to start/stop work. Stable connection via wifi signal. 12 Month warranty: If you encounter any problem or need support, please feel free to contact us through following E-mail support@aoycocr.com or Amazon directly. We offer free replacement service anytime and for any reason if the outlet is defective.